Less than a month after a hardy little koala was struck by a car and carried nearly 50 miles clinging to the vehicle's grill, he is once again free to do as he pleases in the wild. The juvenile male, named Timberwolf, made headlines around the world for his incredible story of survival, one which seemed to defy comprehension. 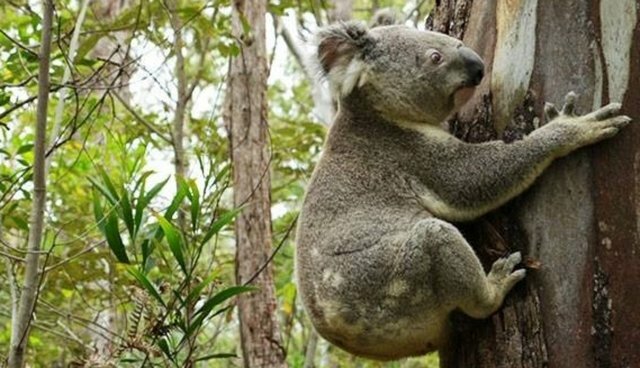 By the time he was discovered and brought to the Australia Zoo Wildlife Hospital, veterinarians could hardly believe he escaped the accident with just a few scrapes. "It is absolutely amazing that he has such minor injuries and he survived," Dr. Claude Lacasse told the Sydney Morning Herald. "It is a truly remarkable story." But winding up in the hospital actually proved to be a turn of good fortune. Vets soon discovered that Timberwolf was infected with a life-threatening case of chlamydia – a growing epidemic among koalas in the wild. "Not all koalas that come into contact with cars are so lucky, which is why being able to release Timberwolf last week was the best result we could have hoped for. He's at a good age for breeding so we hope he'll contribute to existing koala populations in the area."